next is where the fun starts. You will find the shifter bongle and tap into the wires. The original shifter had only two wires, a brown and yellow. It connected to the yellow/blue and white/blue wires. But now it will go as follows: brown from the shifter to the brown/violet wire that goes to the BCM which is shift up. Yellow from the shifter to green/white wire that goes to the BCM which is shift down. And the black from the shifter goes to the black/green wire that goes to the BCM that is ground. 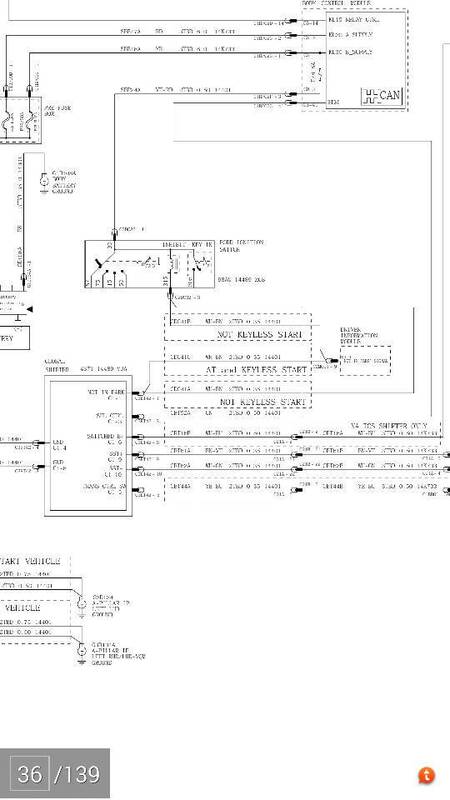 I followed this wiring diagram So now that the wiring is done, you need to use the FoCCCus software to turn the software on in both the BCM and IPC. I first used the FoCCCus software to turn on the Selectshift tech in the shifter type and also in the trans in both the BCM and IPC. You can find that software here: http://www.focusfanatics.com/forum/showthread.php?t=402666 I previously thought that I needed a tune to make selectshift work, but today (May 17th, 2014) I reverted my tune back to stock, with only the Focccus Software changes enabled, and it still worked. So you don't need a custom tune but it makes the shifts soooooooo much faster. I would honestly recommend it. I was also able to swap in a SelectShift shifter. I wanted to do a quick write up on the install process so anyone else who wants to do this might have an easier time. Sadly, I did not take any pictures, so this is just going to be text (I know, boo). Anyway, here we go. 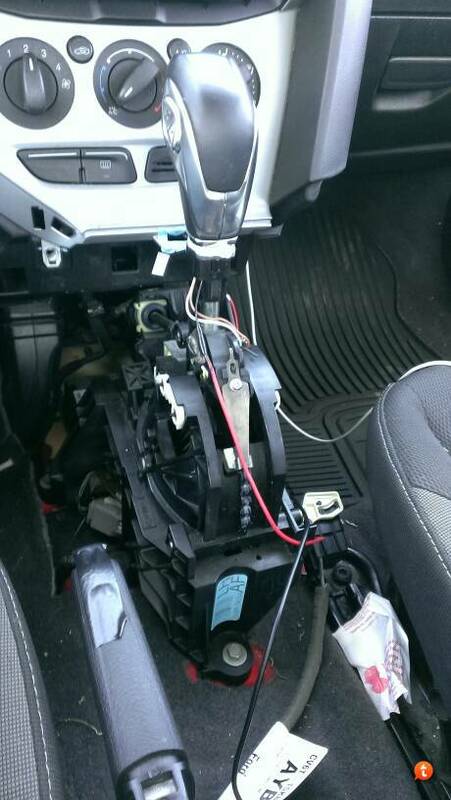 NOTE: This applies to a 2014 Focus SE HB using a shifter assembly from a 2014 Focus. This will probably work on other years/models, but I can’t verify that. Also, I used FoCCCus 0.8.4. If a newer version is released, the instructions may change. NOTE 2: I did this a few days ago, so I am going by memory. Please feel free to make corrections where needed and pay attention while taking things apart so you don’t break something. I am not responsible for damages to your car or voided warranties. PROCEED AT YOUR OWN RISK. Remove floormats and anything in the cupholders and center console. Unplug your phone charger too. Remove the front side panels that run from the underside of the dash to the front of the center console. b. 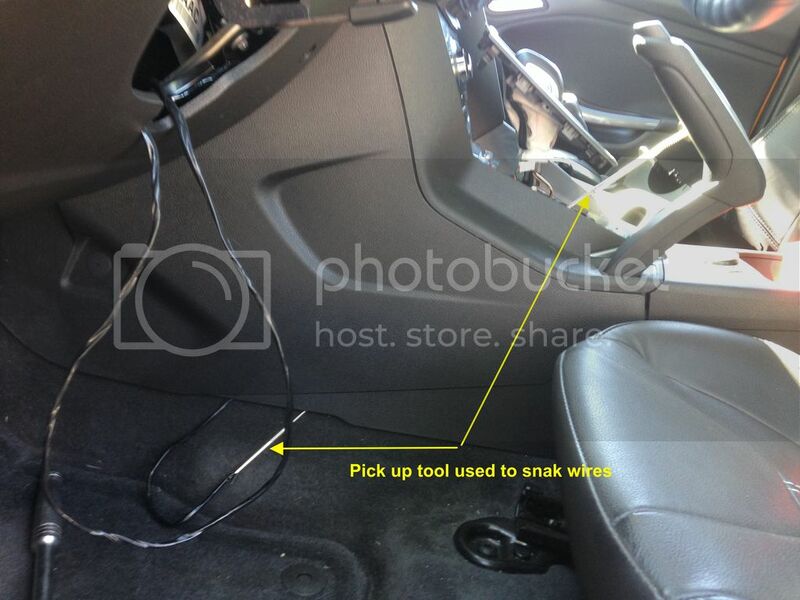 The passenger side has a small access door that will need to be removed to access the clip. There should be a plastic pocket on the driver’s side of the shifter. 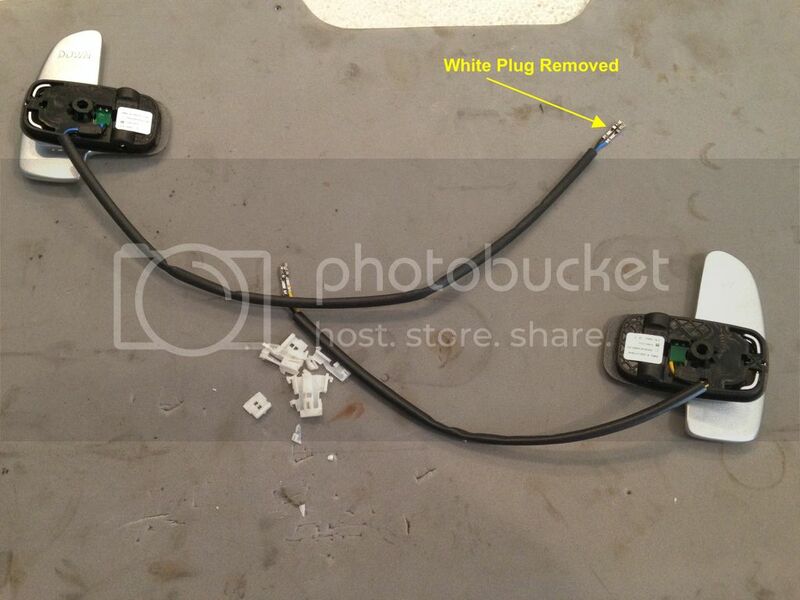 Remove by pulling/prying with the trim removal tools. b. NOTE: This was the hardest part for me, as I felt like I was going to break it. Everything went smooth, but just be careful. a. Put the keys in the ignition and turn to the ‘II’ position. DO NOT START THE CAR. d. Disconnect the two wire cable for the shifter plate illumination. e. There will be two small Philips screws below the shift knob. Remove them. f. Disconnect the two wire cable from the shift knob to the shifter assembly. If you have three wires… you probably already have SelectShift. You might want to confirm before proceeding. g. The center console should be removable at this point. 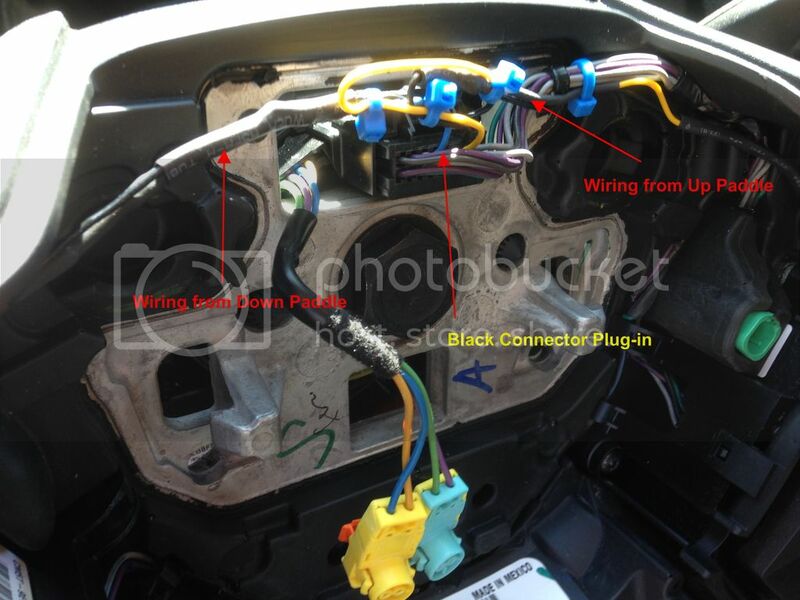 Be mindful of the e-brake handle and any other wires that may be connected (potentially different wiring on a higher trim level). Try not to scratch the trim around the front vents. c. Locate the shifter cable retaining block (beige plastic square on the front portion of the shifter assembly). It should have a tab facing up and two ‘wings’ on the driver side. d. Gently push back on the upper tab with the flathead screwdriver while pulling the retaining block toward the driver side. This part was annoying, fair warning. e. Remove the 4 bolts at the shifter assembly base. They should be 10mm. b. The PRNDS/L area can be removed by gently prying up on the rear tab and pulling it down. Be careful, this piece felt brittle to me. d. Using the trim removal tools, pry up on the retaining ring for the shift boot and work the ring off all the way around. e. At this point, you can re-arrange your parts as needed. Re-installation will be the reverse of removal. Please don’t mix up your shifter assemblies or you will have a sad. Once everything is back together, it would be a good idea to take the car for a test drive and make sure everything works (all gears engage, PRNDS lights up, AUX and USB ports work, power ports work). a. NOTE: The ‘+/-‘ buttons will not work at this point, neither will they engage the old Hill Climb feature. Next up is software, time to break out the laptop. I did this on a Windows 7 32-bit OS, I don’t think this will be much different for Windows 8/8.1 or 64-bit OSes. Download and unzip the FoCCCus software. Connect the OBDLink MX to the OBDII port. a. Port is located behind a door on the lower driver’s side left. It’s marked OBD. Sit in the car, the range on the OBDLink MX seems to be pretty short. Turn the ignition to position ‘II’, DO NOT START THE CAR. Unplug the OBDLink MX, put the laptop the laptop away. Last edited by sailor; 07-12-2015 at 02:00 AM. An invaluable tool for this mod is the Ford Focus workshop manual available on this site. 3. I made a template by putting paper on the bottom of the paddle shifter and rubbing the edge with a dirty finger to make an out line. I then cut the paper out with a pair of scissors. 4. 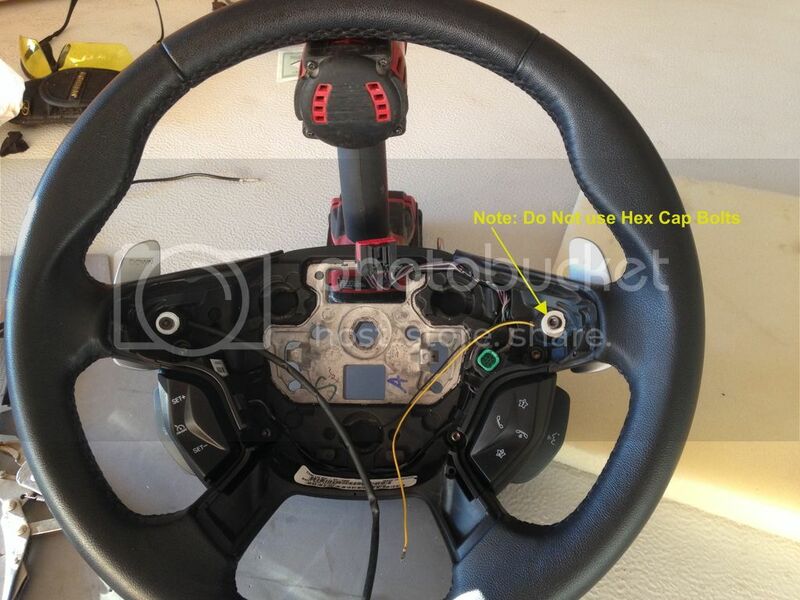 Lay out template on back of steering wheel and mark with a ball point pen. 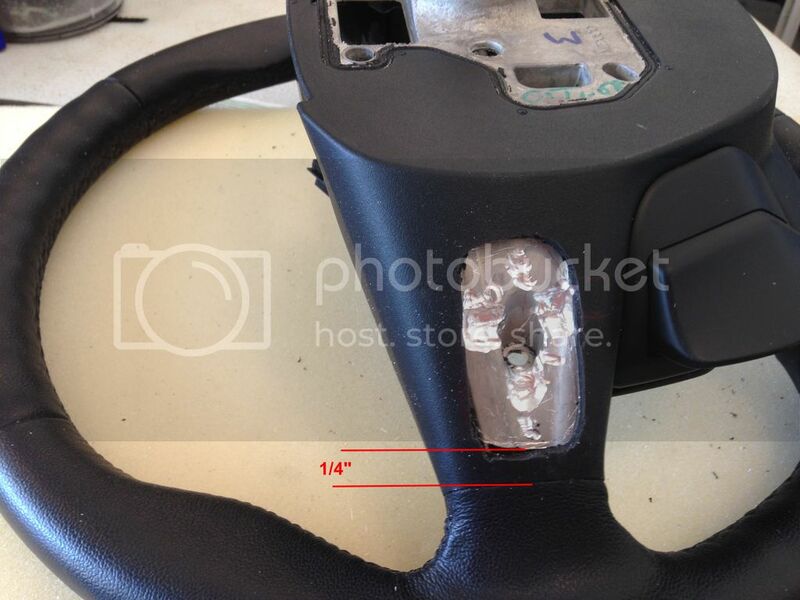 From the line on the steering wheel edge come in about 1/4”. 5. Take a sharp knife and cut rubber covering completely down to the metal frame. On the first side I did I ended up taking the rubber out in tiny chunks, but the second side came out easier by working it up with a scratch awl and it came up pretty much in one or two pieces. 6. Next take a dremel with a good bit (I used a tungsten carbide cutter and it cut like butter). The best method I found was to go around the edge of the rubber and cutting down to the required depth ( I used a digital caliper for this). Once down to the required depth, remove the remaining material in the middle. ( The depth was 5mm, except there are two bumps on the bottom that needed 8mm to clear). This step takes quite a while to cut, then test fit, then cut again. It’s best to sneak up on the fit so you don’t take too much out of the frame. 9. Next, run the paddle wires through the hole you drilled and bolt the paddles into position. *Remember not to over tighten them! 10. Re-install steering wheel. Torque for bolt is 35 ft/lbs. 11. Now, on to the wiring. On the black plug in the centre of the wheel, there are three open connector holes. The connectors on the AMG paddles fit nicely into these. The up paddle has a yellow and black wire, the downshift has a blue and black wire. The yellow and blue wires plug in directly, but the black wires have to be spliced together first and then plugged in. 12. 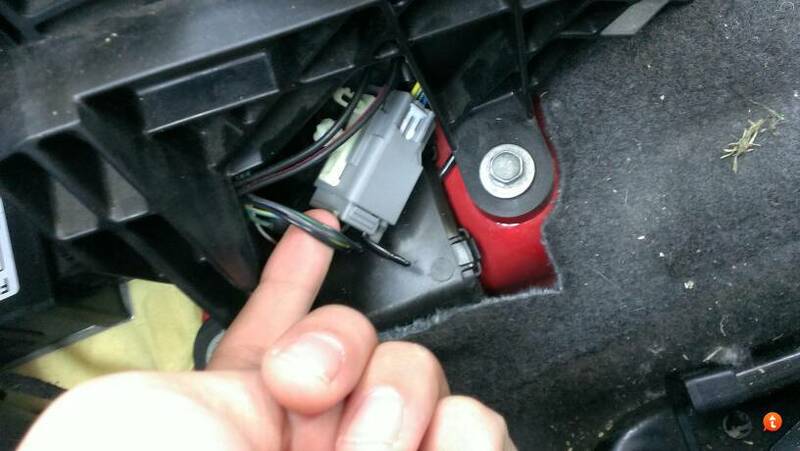 On the back of the column by the left hand turn signal stalk, there is a grey connector that corresponds to the black connector in the steering wheel. There are three empty spaces in this plug as well. For this, you need to either get some Ford micro female terminals (good luck, I couldn’t find any) or make your own. For this I took an old speaker wire ( which had a large spade terminal and a smaller one, I’m a carpenter by trade so don’t know the proper terminology for all things wiring lol). I took the smaller terminal and carefully cut up the middle of the connector to remove one side. 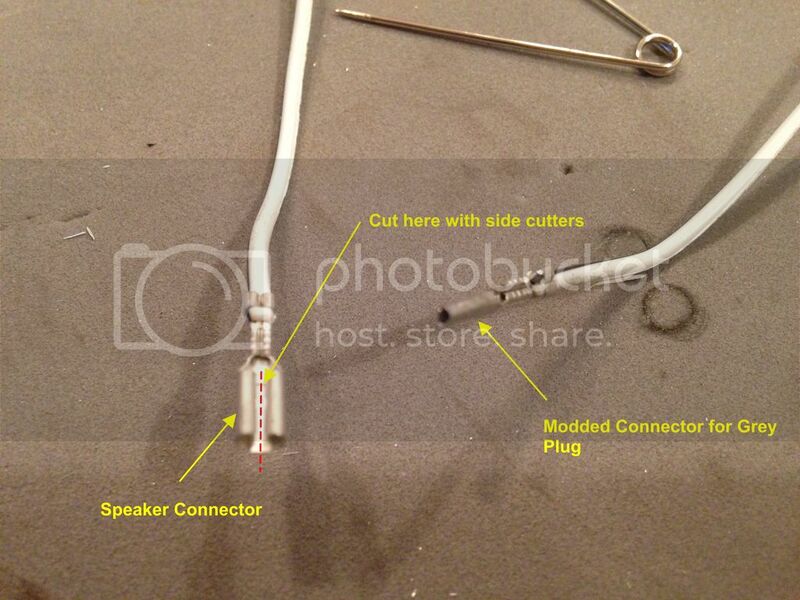 I then put a safety pin inside the connector and closed up the metal with needle nose pliers. This made a small terminal that fit inside the grey plug quite nicely. 13. From here you need to run your wires to the centre console shifter area. I used a plastic trim removal tool to pry up the cover by the shifter. 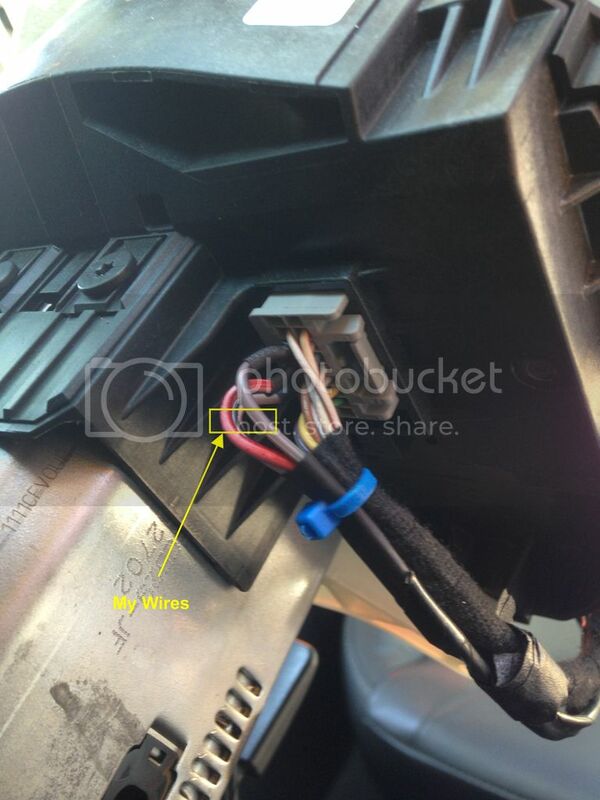 (Refer to workshop manual for details) Here you will see three wires coming down from the shifter knob. These are for the Selectshift thumb switch. The colors are BROWN for downshift, BLACK for common, and WHITE for upshift (not sure if that is true for all vehicles, a wiring manual for the 2012 Focus listed completely different colors). If your wires are different colors or you just want to make sure, you can unplug the connector, clamp the shifter button in the depressed position (or have someone hold them for you) and use a continuity tester to check the operation of the switches. 14. Next, ( I recommend this step as I had some wiring difficulties) do the same on your shifter paddles. With the paddle depressed, use a continuity tester to find out which wire is common, which wire is for the upshift, and which wire is for the downshift. When this is done it is a simple step to use tap connectors to splice your paddle wiring to the Selectshift thumb switch wires. 15. Before reinstalling the airbag, it is a good idea to go for a test drive and check the operation of your new PADDLE SHIFTERS! HenryJye and TheKyndalFire like this. I'm closing it for now, so how-to's on converting models without select shift can be added at the start of the thread later. Edit: Conversion threads added, kudos to papaacer for the first detailed conversion thread. Reopened for questions/comments/edits. Last edited by sailor; 07-12-2015 at 02:21 AM. Here are the links to the complete threads for the two posters of selectshift conversion info.. Thanks for cleaning it up Roger. Now people can decide if they wanna do the whole shifter base, just the shifter, or paddle shifters. really the pictures are completely unclear on the wiring. maybe numbering the pins on the connectors and telling which number you plugged each of your wire into would help a ton. I also did tell you which wires go to which. I couldn't have made it any clearer than that. 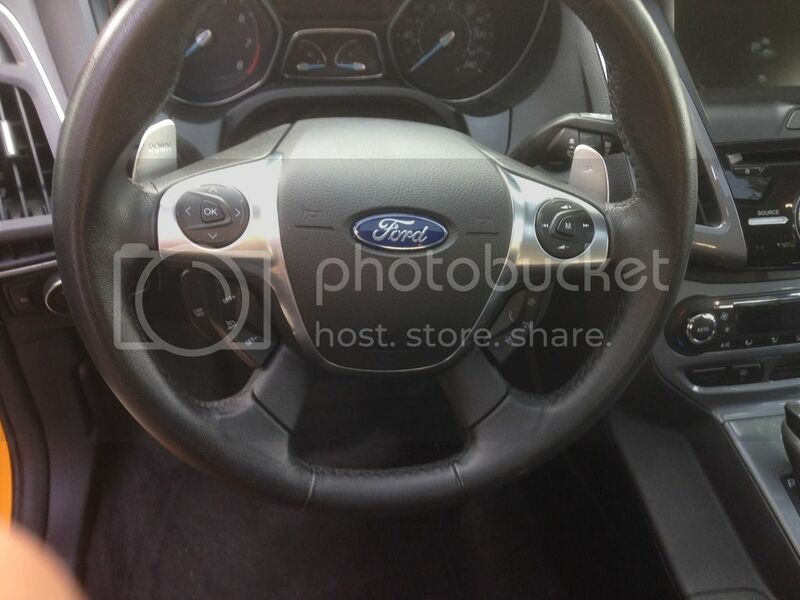 Is there a way to do the paddle shift upgrade with the new steering wheel which has the paddles installed already? 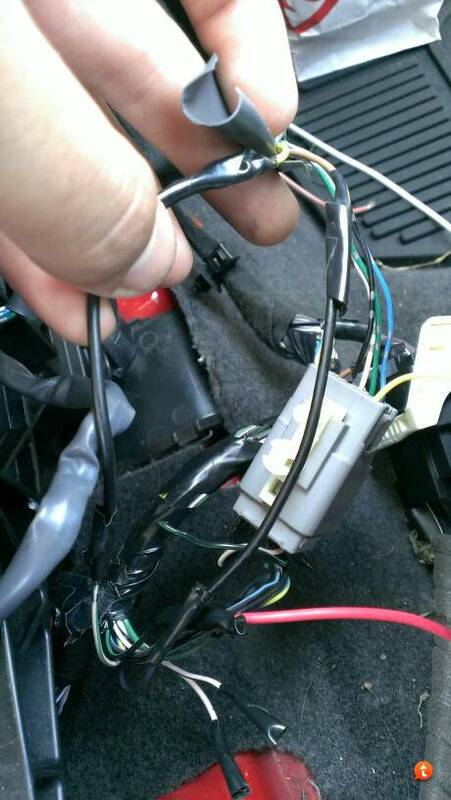 For the paddle shift project, does anyone know what wire terminal (size/type) is needed to properly insert wires into the gray steering column wiring harness? All wires are 22 gauge on this harness. I see here bonzo333 cut up some speaker connectors, but I was hoping to have something more specific that I could order ready-to-go. Thanks.